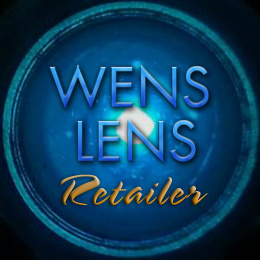 Welcome to Wens Lens ! Today you have stumbled upon the New Top of the Line, ULTRA Cool Blue Welding Lens, Now available to the Public ! These New ULTRA Cool Blue Welding Lenses are Unbelievably Clear & Affordably Priced ! Tired of those old cloudy welding lens? Tired of the all day strain to your eyes? Want those headaches , from the eye strain, of using the cloudy lens , to go Away? Visit our Online Store today to purchase your " ULTRA Cool Blue Welding Lens". Improve your ability to make that Quality Weld, Increase your production ,feel better about the job you've completed. We have taken into consideration the need for a great quality welding lens, with an easy on the wallet price. Now available in Shades 8-12. All New 2 Piece, Glass, Protected Mirrored, ULTRA Definition, ULTRA Cool Blue Welding Lens, Gettcha One ! Its Only a Click Away ! USEFUL INFORMATION The New ULTRA Cool Blue Welding Lens has Amazing Clarity,Enhances Definition,Only Allows Blue Light into the Lens,and the Mirror Coating is Constructed Within the Glass !!!! WARNING It is Imperative to use a ANSI - Z87.1 Approved Clear Lens in Front & Rear of this product for your eye safety.This will Insure HIGH Impact Resistance ! Ultra Shade Exchange Policy is available when purchasing. By purchasing theShade Exchange Policy you insure yourself to have 2 shade exchanges (as long as your product is still in like new condition) & this should be done within 7 business days after the delivery date recorded by USPS. We understand that many of you work out of town on jobs & may need your orders shipped to a different address..However to resolve some confusion any changes that you need made to your order after it has been placed MUST BE EMAILED to us @ [email protected] with your name, order number, phone number and details regarding your change request. We apologize for any inconvenience this is just to help keep track of this information.